Court • Victim was acquitted 2 years ago of kidnapping kids. Ietitaia Tavita Nuusila Ieti Mageo Ricky Peace David James Bell, who was acquitted of child kidnapping charges, is flanked by his defense lawyers Roger Kraft and Susanne Gustin in this 2009 Tribune file photo. David James Bell, who was acquitted of child kidnapping charges, is flanked by his defense lawyers Roger Kraft and Susanne Gustin in this 2009 Tribune file photo. David James Bell, who was acquitted of child kidnapping charges, is flanked by his defense lawyers Roger Kraft and Susanne Gustin in this 2009 Tribune file photo. David James Bell, who was acquitted of child kidnapping charges, is flanked by his defense lawyers Roger Kraft and Susanne Gustin in this 2009 Tribune file photo. The lawyers held up starkly different photographs in court. A prosecutor showed a photo of a victim's badly battered face; a defense attorney proffered a picture of Ricky Peace's young son. 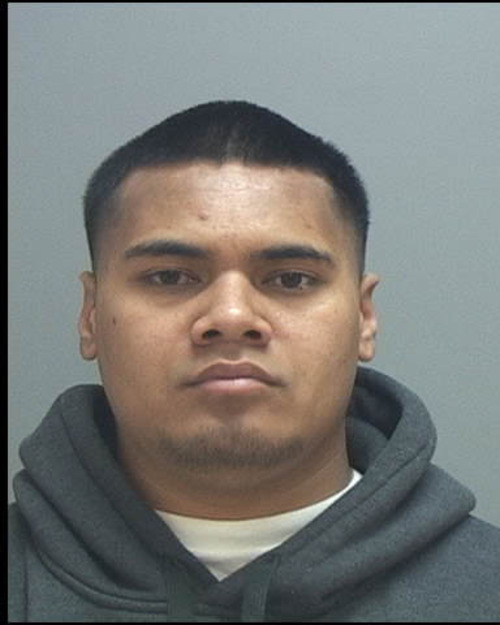 It was because of a parental instinct, defense attorneys said on Monday, that Peace and his family "overreacted" in July 2008 when they broke into a neighbor's South Salt Lake home and brutally attacked two men  believing they had taken two young children. "He is not ... a vigilante. He's a father, a parent, and he was concerned about his son," Chad Steur, Peace's attorney, said in asking 3rd District Judge Robert Faust to spare Peace prison time. But David James "DJ" Bell and his partner Daniel Fair told Faust that Peace and his family's account of the night was "as laughable as it is dishonest" and that they deserved no mercy for the "barbaric" attack the couple suffered. "You are the reason I see the scars on my head every time I look in the mirror," Fair told Peace before the defendant was sentenced to prison for up to five years. As family members wiped away tears, Faust handed down the same sentence  the maximum for a third-degree felony  to defendants Ieti Nuusila, 27, and Ieti Mageo, 34. The men were initially charged with first-degree felonies, but each pleaded guilty to lesser third-degree felony counts of burglary, aggravated assault and riot. 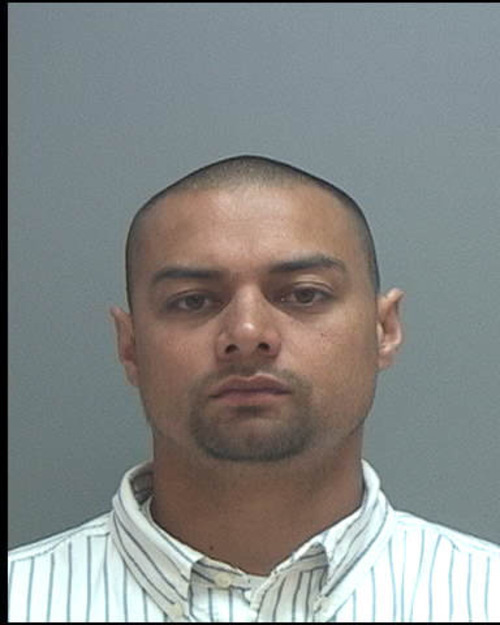 A fourth defendant, 32-year-old Lulu Latu, was sentenced to a year in jail. In court, Peace and Nuusila apologized to Bell and Fair for the attack. "I want them [Bell and Fair] to know it was not out of some sort of spite, hatred, some sort of gay-bashing thing ..." the 35-year-old Peace said. "I wish the whole thing never happened, but I only did it because I love my son." Mageo apologized to Fair, but added: "DJ Bell made a choice and caused the ripple effect of what happened." 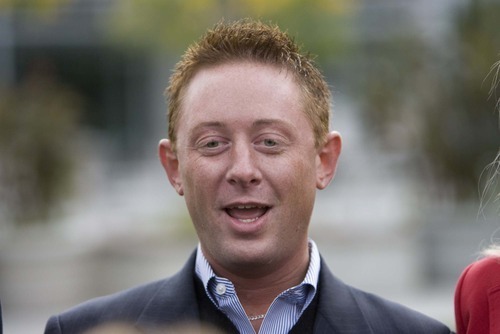 Bell, 33, was acquitted at trial two years ago of kidnapping the children in the early hours of July 4, 2008. He did not testify at his own trial but Bell said during a post-acquittal news conference that he was partying with the neighbors and had gone home to refresh his drink when the children  ages 2 and 4  showed up asking for Kool-Aid, which he said he gave them. He claims he was preparing to take them back home when Latu, the mother of one of the children, showed up and assumed the worst. Bell said Latu called him a number of gay slurs and told her family she had found the children next door with two "pedophiles." Bell called Latu a "liar and a bigot." Fair said the woman initiated the ensuing melee "because we're gay." Bell recounted watching Peace kick open a door and then assault Bell and Fair with a frying pan and a heavy salt shaker. Bell said he saw Nuusila hit Fair over the head with a flat-screen television and watched Mageo punch through the glass in the front door while yelling gay slurs. The four defendants were ordered to pay more than $14,800 in restitution for medical expenses.An attorney for Nuusila said the man was "swept up" in an alcohol-fueled mob scene. After Bell's sister told Faust she believed the attackers "should suffer for their actions," Nuusila's attorney, Bevan Corry, said it was human nature to want retribution for a perceived wrong. "I do want people to suffer  but within the parameters of the law," Bell said. "Not at my own hand." 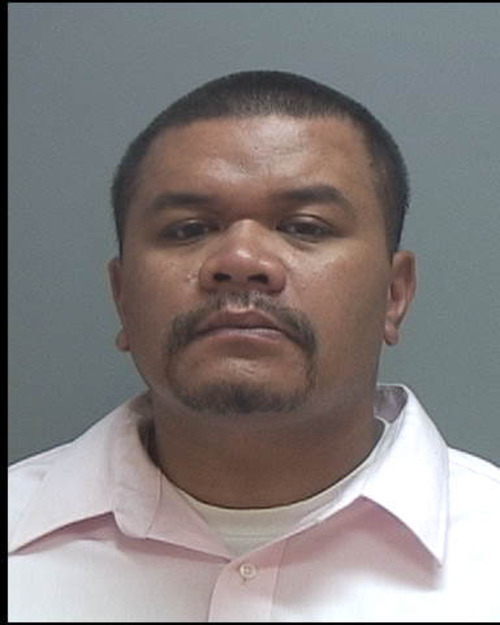 Nuusila was ordered to surrender himself May 31 to begin his prison sentence. Bell said he agreed with the judge's decision to let Nuusila stay free until then because the man's wife is expecting a child. Latu, the mother of one of the children, pleaded guilty earlier this year to class A misdemeanor attempted riot. "Basically, the mother bear instincts took over," said Latu's attorney, Taylor Hartley. In total, seven people were charged last year in the attack on Bell and Fair. The three others charged were Angelina Dibella, 32; Marsha Finau, 31; and Lisa Rita Aiono, 27. Finau entered a guilty plea in abeyance to class B misdemeanor riot. Her case will be dismissed in January if she does not commit any new crimes. Charges against Dibella were dismissed. Prosecutors said there was information that Dibella was somewhere else during the melee. Aiono is scheduled for trial on June 22 before Judge Faust. Outside the courtroom Monday, Bell told reporters: "I'm finally feeling like I'm at peace."